Miami Criminal Lawyer - Miami Criminal Tax Attorney - IRS Litigations - OVDP . Criminal and Tax Lawyer David M. Garvin, P.A. Located at 200 S. Biscayne Blvd. Suite 3150, Miami, FL. Phone: 305-371-8101. http://miami-criminal-attorney-davidmgarvin.com. Criminal Lawyer David M. Garvin, P.A. Located at 200 S. Biscayne Blvd. Suite 3150, Miami, FL. Phone: 305-371-8101. http://miami-criminal-attorney-davidmgarvin.com. Criminal Defense and Income Tax Litigation attorney. All State and Federal White Collar Crime Defense. Admitted to practice before the United States Supreme Court, the Eleventh Circuit Court of Appeals, the Sixth Circuit Court of Appeals, the United States Tax Court, the Florida Supreme Court and United States District Courts. Respected Reputation Based upon Results. 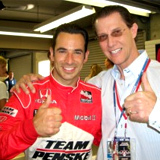 Miami Criminal Lawyer David Garvin has the trial experience that you need when serious legal issues are in play. 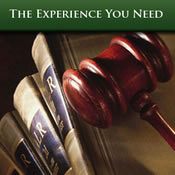 A Criminal defense attorney with experience at your side during every step of your defense will make the difference. Cases presented are representative of the type of cases the law firm handles. Not all cases have been included. The results of past cases are not indicative of future results. Each case has its own unique facts which substantially affect the outcome. Perspective clients may not obtain the same or similar results. in federal white collar crime cases and over 92% in federal criminal tax cases. Before selecting a criminal defense attorney to represent you in a federal white collar crime or criminal tax case it is important to ask for information concerning the attorney's trial experience. We welcome you to compare our trial results to any other firm's or lawyer's. Miami criminal tax lawyer David M. Garvin is AV Peer Review Rated by Martindale Hubbell and is recognized in the Bar Register of Preeminent Lawyers as both a criminal defense and tax attorney. He has an AVVO rating of "Superb" and has been recognized and quoted by major publications throughout the United States, including many tax publications. For over 30 years, Mr. Garvin has represented and defended clients in federal, civil and criminal matters throughout the country earning a deserved reputation as one of the nation’s top criminal and tax attorneys. Mr. Garvin was the proud recipient of The Daily Business Review’s award for the Most Effective Lawyer of the Year (2010) in the area of complex litigation. Mr. Garvin has extensive trial experience and has obtained remarkable results for his clients in many criminal and tax matters. Our office has represented a wide range of clients including, celebrities, public officials, businessmen, doctors, accountants, lawyers, corporations, brokerage firms, individual brokers and numerous others. David Garvin is admitted to practice before the United States Supreme Court, the Eleventh Circuit Court of Appeals, the Sixth Circuit Court of Appeals, the United States Tax Court, the Federal Claims Court, the Florida Supreme Court and United States District Courts. 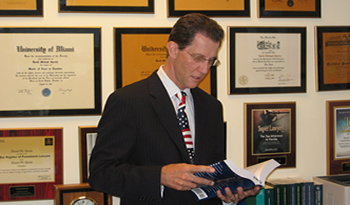 He is member of the Florida Bar, the Bar Register of Preeminent Lawyers, Florida Super Lawyers, the American Bar Association and the National Association of Criminal Defense Lawyers. Mr. Garvin is Florida Bar Certified in Taxation and holds a LLM (Masters in Law) in Tax. In addition, to holding a Juris Doctoral degree in law, he is also a licensed CPA (Certified Public Accountant). Mr. Garvin's unique business background provides him with a distinct advantage in serving his clients in tax and white collar crime cases. The Law Offices of David M. Garvin is a boutique practice designed to provide personal attention to the client's individual needs in cases ranging from large complex multiple issue matters to smaller single issue causes. Mr. Garvin personally handles the cases. Cases are not passed to junior attorneys and/or associates which often occurs in many large firms. The firm is sufficiently diversified to handle cases ranging from single issue Criminal matter, requiring relatively short trials, to complex high profile multiple issue controversies requiring lengthy trials. Specializing in Offshore Voluntary Disclosure Program and tax defense. As an experienced criminal and tax attorney, Mr. Garvin deals with the IRS on a regular basis. He has the knowledge and experience to advise you of your options to resolve your IRS problems in both civil and criminal matters. Whether your needs of representation involve Wire Fraud, Mail Fraud, FBAR, FINCEN, Offshore Voluntary Disclosure Program (OVDP) or FATCA issues he has the experience to competently represent you. Contact us and we will be happy to arrange for a consultation. Award Winning as Most Effective Lawyer in the Complex Litigation category. Listed in the Bar of Preeminent Lawyers as both criminal defense and tax attorney. LLM (Masters in Law) in Tax. Remember that the agents and prosecutors assigned to your case are not neutral. The IRS agents may have a different agenda. They are interested in what is best for the government. You need someone working on your behalf to protect your interests. IRS problems do not go away on their own. They must be dealt with. In fact, the longer you wait to address the issues at hand the harder they become to take care of. Mr. Garvin concentrates his practice in the areas of white collar crime and tax defense including Conspiracy, Mail and Wire Fraud as well as Offshore Voluntary Disclosure Program cases. before, during and after incarceration. Proud recipient of the Daily Review's Most Effective Lawyer Award for 2010 in the area of complex litigation. Attorney David M. Garvin, P.A.